The latest holiday cottages from "Sykes Cottages" can be found below. We have a good selection of new cottages to report on, with one of those cottages getting an extra special mention. There are cottages (and a few log cabins) scattered all across the UK and Ireland, with Somerset, Worcestershire, Herefordshire, Norfolk, Devon, Dorset, Perthshire, Warwickshire, Gloucestershire, Northumberland, Wiltshire, Shropshire and Cornwall being among the counties with these newly featured holiday cottages. You can see the new cottages from Sykes Cottages below. 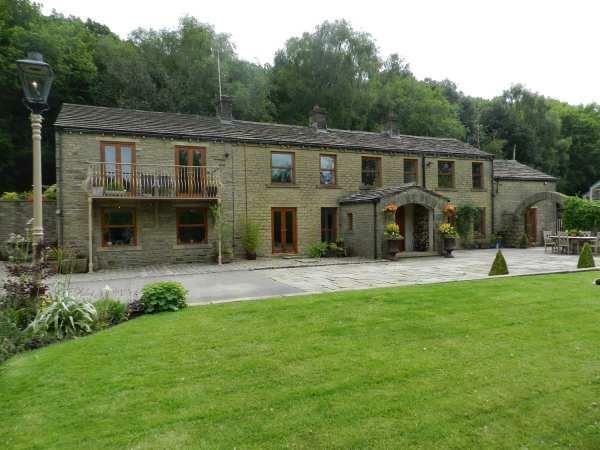 But before you see all the latest cottages available, let me show you that cottage I mentioned earlier: "Wood Bottom Farm in Meltham near Holmfirth". Wood Bottom Farm in Meltham near Holmfirth - Wood Bottom Farm in Meltham near Holmfirth is a detached holiday cottage sleeping 10 people - located near the Peak District. For the very latest in holiday cottages from Sykes Cottages, have a look at our cottages which have recently been added page.